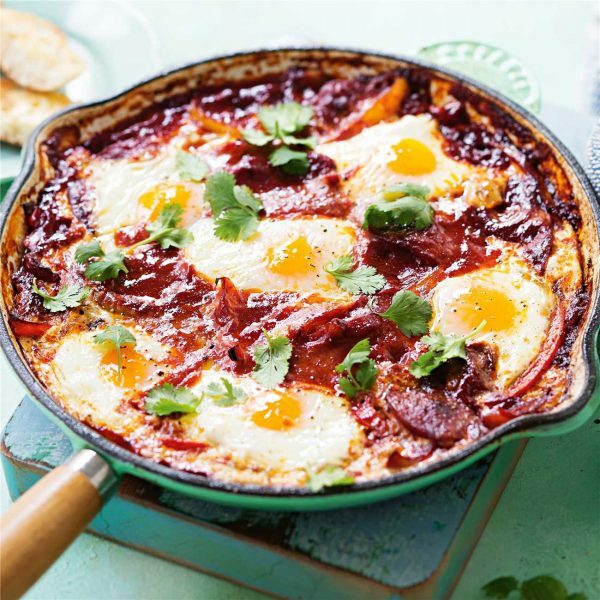 Check out this extremely easy recipe for baked eggs. It is perfect for any meal and you can customize and edit to your taste. Preheat oven to 350 degrees. Enjoy - So yummy, warm and tasty! In a baking dish add fresh spinach, peppers, tomato sauce (about 1 cups), and crack eggs on top. Add some fresh mozzarella or your favorite low fat cheese. Chop some fresh rosemary, season with sea salt and pepper. Throw it in the oven for 15 minutes until the whites of the eggs are cooked but the yolk still runny. If you prefer your yokes to be more cooked, turn the oven off but leave in for a few extra minutes. Top with Arugula and a balsamic glaze swirl on top.